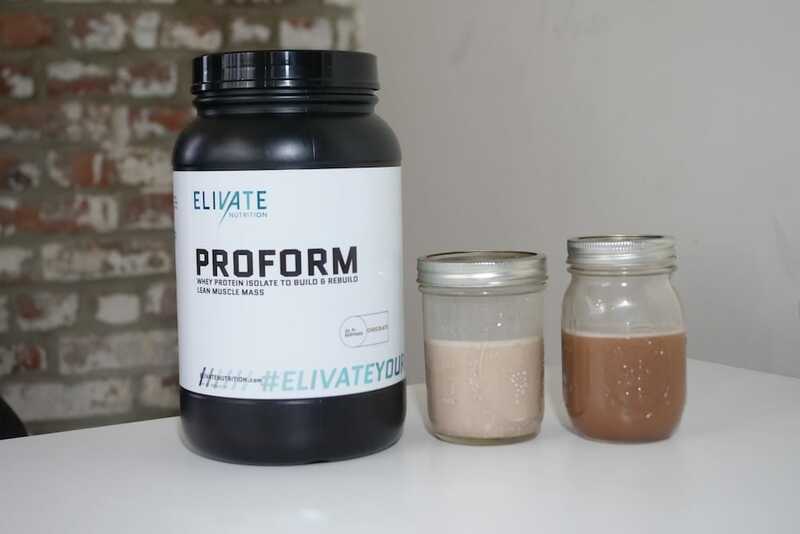 Home » Elivate Nutrition Proform Whey Review — Protein That’s Tasty In Water? 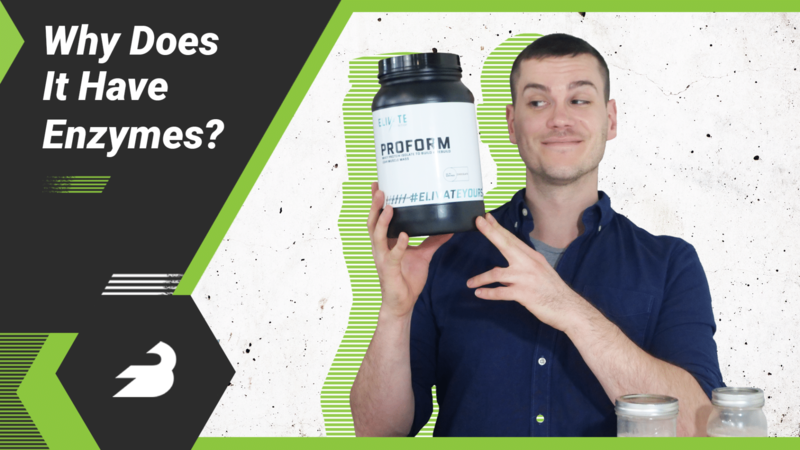 Elivate Nutrition Proform Whey Review — Protein That’s Tasty In Water? Elivate Nutrition — not to be confused with Elevate Nutrition — is a Colorado-based supplement company that has a pretty strong emphasis in their marketing on the strength sports of functional fitness and strongman. Elivate’s blog has an impressive variety of content on on functional fitness, nutrition, recipes, and more. Their product line includes branched chain amino acids and an alkaline creatine, and their whey protein is a little unusual in that it contains extra BCAAs. Let’s dive into the Milk Chocolate flavor. Shop Elivate Nutrition Whey HERE. One scoop has just 100 calories, comprised of 24 grams of protein, 1 gram of sugar, and 0.5 grams of fat. With 60 milligrams per serving or 3 percent of the recommended daily intake, it’s quite low in sodium and at 10 percent of the RDI, relatively high in calcium. The ingredients are whey protein isolate, cocoa (processed with alkali), natural and artificial flavors, xanthan gum (a thickener and stabilizer), sucralose (also called Splenda®), the branched chain amino acids leucine isoleucine and valine, and the digestive enzymes papain and protease. First off, this has a remarkable protein-to-calorie ratio: just 100 calories for 24 grams of protein, 1 gram carbs and 0.5 grams of fat. 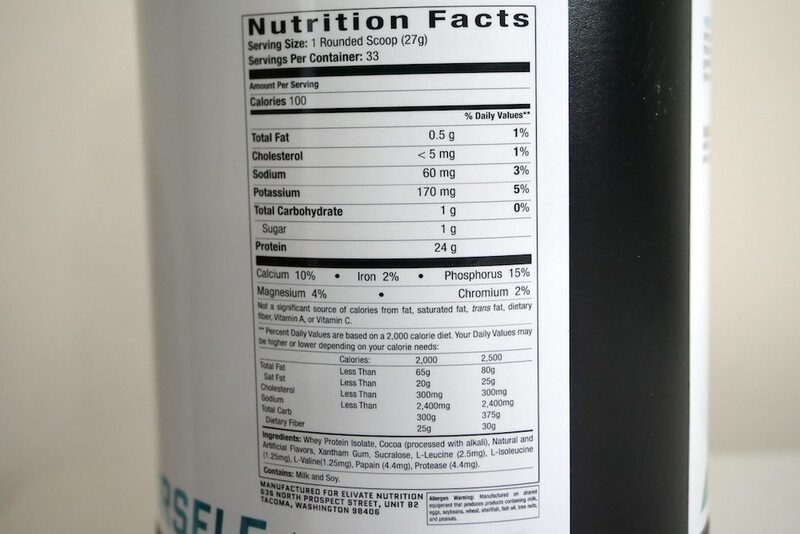 This is a whey isolate, which is whey concentrate that’s been further processed to remove extra carbs and fat, but it’s still pretty darn low-carb and low-fat even for an isolate. This whey has also been cold-pressed to minimize denatured proteins, plus the cows are grass-fed and free from bovine growth hormone, qualities that are sought after by some athletes. Although the whey is grass-fed and hormone-free, this isn’t an all-natural product: it has artificial flavors and the artificial sweetener sucralose. However, it doesn’t contain any acesulfame potassium, a super common artificial sweetener that’s present in most wheys on the market. It’s a little more controversial than sucralose, so some consumers may be happy with this exclusion. The digestive enzymes are also a nice touch. Papain and protease may help to speed digestion and reduce digestive discomfort — the science is a little mixed, but nonetheless this could be good news for some consumers who find that enzymes make for a whey that’s easier on the stomach. One thing that might be less popular is that the label points out that this product contains soy, which many folks — particularly those on the Paleo diet — try to minimize. It probably doesn’t actually affect human estrogen levels as many fear, but it’s still worth pointing out. The extra BCAAs, meanwhile, may help to elevate leucine levels. 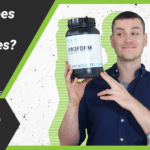 The science is pretty mixed as to whether or not extra BCAAs in whey make it more anabolic when compared to conventional whey, but if you’re convinced that it’s useful then you may be happy with the extra leucine. You can pick up 33 servings for $57, which comes to $1.73 per serving or 7.2 cents per gram of protein. That’s pretty pricy compared to conventional whey, which is usually around 4 cents per gram, and while it’s more middle-of-the-road for a grass-fed whey isolate, there are plenty of brands that are closer to 6.5 cents per gram of protein that don’t have the artificial ingredients. Of course, most of them don’t taste quite as good. This tastes fantastic. I was really blown away by the Milk Chocolate flavor, which literally tastes like a melted down bar of Cadbury milk chocolate. Even better, it tastes excellent with water. This is great news for folks who want to keep calories to an absolute minimum or those who just don’t always have milk on hand. Very, very few wheys taste good with water, even artificially-flavored wheys. This is a big win for the product. There’s no lecithin in this product, be it soy- or sunflower-based, so the mixability isn’t great, but it’s not bad either. It doesn’t completely dissolve into the milk, but I’d say it’s more granular than clumpy. It’s perfectly enjoyable, just don’t expect 100 percent smoothness if you’ve been shaking it in a regular shaker. A protein with next to no carbs or fat that tastes great with water is a seriously impressive feat on its own, and when you add the facts that it has digestive enzymes and no acesulfame potassium, it’s hard to be disappointed. It’s important to note that the soy, the sucralose, and the price may turn off some people, particularly those of a Paleo persuasion, but if those aren’t concerns I think Proform ticks a lot of the right boxes.